touch and go at the moment getting ready for our move (even if it is only five minutes away!). One of the things I am most looking forward to about moving is painting and pinning a love story on my walls. I've been waiting for a post like this for so long, to be able to talk about art history without boring you senseless haha. 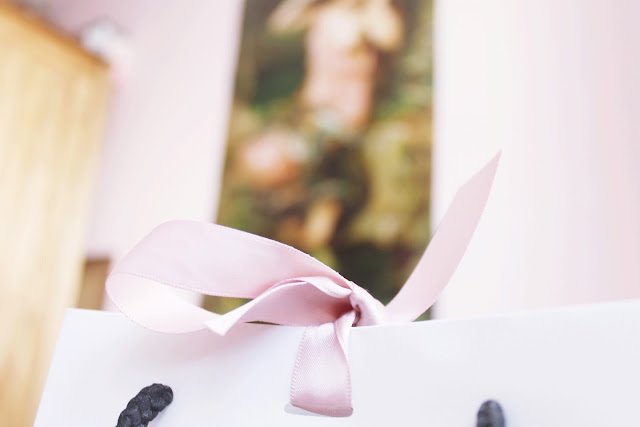 But if it does happen to be your thing - or you just love pretty interiors - feel free to join our Romantic Gal Society, you are so welcome to! Ahem ahem, enough of the promotions. 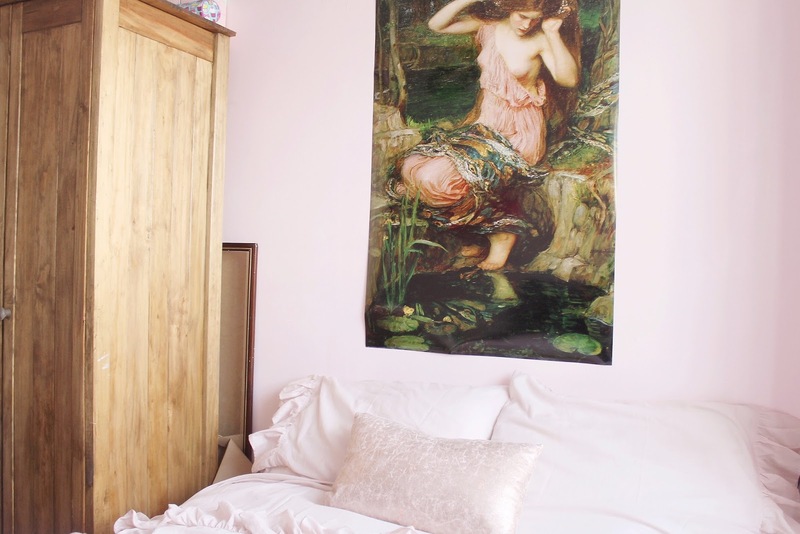 Posterlounge has such a beautiful selection of Pre Raphaelite works, from Rossetti, stealing out the copper workings of Siddal's hair, to Dicksee's meadow maidens and Waterhouse's forest nymphs. I was invited to review a few on the blog and it was so tricky narrowing it down. These are the works I chose, though might have indulged in a little Dicksee if I had not had a preference for portrait sized pieces. My posters arrived beautifully, packaged in a cardboard tube, not one bent or damaged. I was so shocked to see how big they were! I went for posters as opposed to canvases, I wanted them to fill my walls and to be able to pick out all the beautiful little details. Honestly I didn't realise how well you can blow up a work of art and still get every intricate detail. Every curl, each lick of paint is so sharp and jumps out at you! Up first is Lamia (by the pond) by John William Waterhouse. The presence of nature is most prevalent in this piece, communicating heightened feelings and emotions by the greenery, just as ferns and mosses became a main attraction in their own right in romantic poetry of the 19th century. I'm obsessed with the textures of the fabrics and how they are portrayed, and love the themes of birth and self reflection, through the pond, in which she appears fully immersed, and her fabric like shedded snake skin. Study for the Lady Clare, by John William Waterhouse. This is such a personal piece, a beautiful study and I particularly love the angle it is drawn from. Following the enchanting poem by Tennyson, she wears a single rose, and the casual presentation, the looseness of the sketch lends a certain intimacy to the subject. It is fascinating to me to learn what people might have looked like a hundred years before. One of my favourites of all time is Lamia and the soldier. I love the story it portrays, told through not only the expressions of the subjects in the painting, but by the straggled vegetation that make up the abandoned forest; they speak just as loud. Snakeskin is once again depicted via the gleaming fabric, bound around her arms and waist and Lamia's gaze is hypnotic. The colours in this painting are so beautiful too! What's your favourite kind of art? How do you decorate your walls? Let me know in the comments! Wow..Art painting is awesome and you have the most loving and superb looking room! All the different and amazing things you can create with just a pencil or brush! Being as a dissertation tutor and assistance in dissertation provider I love to provide dissertation writing services on nursing, business, finance, marketing and economics to UK students at Dissertation Help UK but, I also love presenting my walls of room with painting or sweet cartoons. I just love your room. Appreciate you. 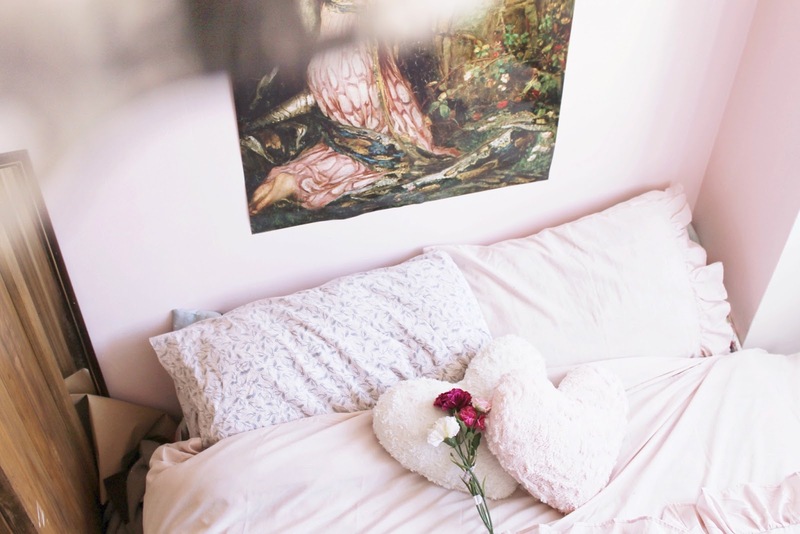 You have the most romantic and dreamy looking room! Those art pieces are gorgeous and fit in so well. 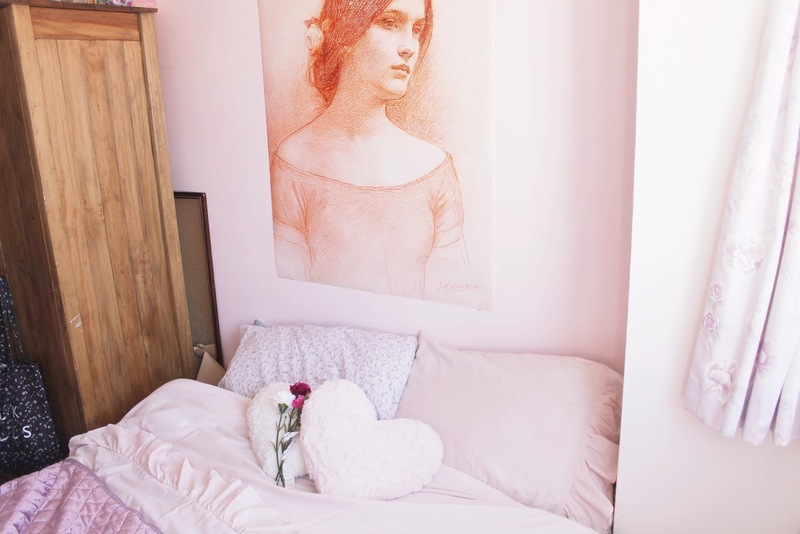 I love displaying art on my wall, from cute little cartoons, to more intricate portraits that resemble these ones. It's amazing all the different things you can create with just a pencil or brush! 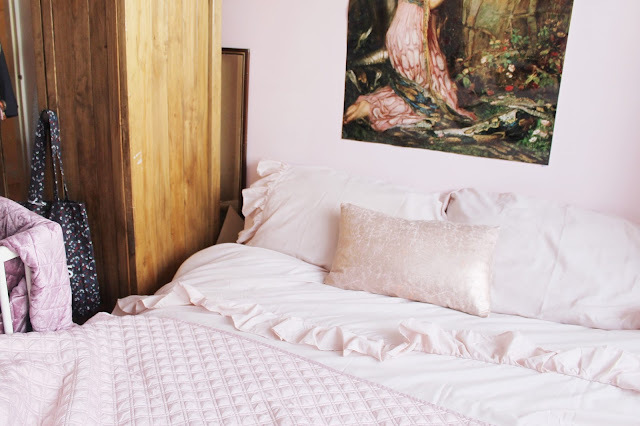 Your room is a dream! ANd it looks so cozy. So lovely and cozy. If I had a room like that I would stay in my room all day. How can you find all your stuffs in the exact same shade of pink? OMG! 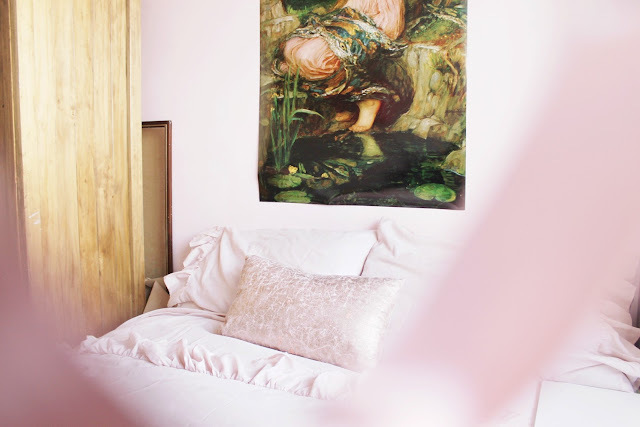 your interior is sooooo dreamy. Impressive sourcing of all the pinks too, the effort really does pay off. BEAUTIFUL! 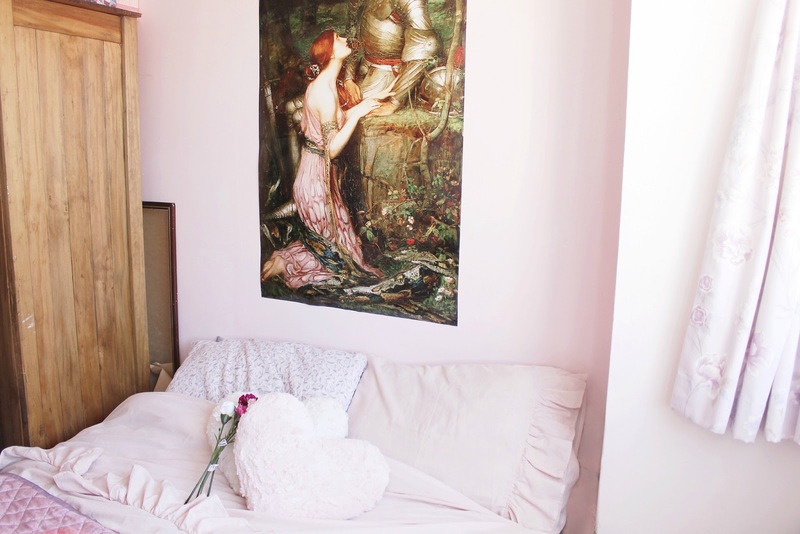 Your room is gorgeous Elizabeth, I love how light and airy it feels and the posters look amazing! I love how you style everything and the photography is so good as usual! I'm not really a fan of pink color (at least not that much pink) but this seriously looks so cute¨!